Specially designed for the curve of a hammock! Packed size: 4" x 8"
47" x 78" x 3" inflated; 27 oz. Hey tree dwellers—now you have a better solution than a bulky blanket for a snooze under the stars. 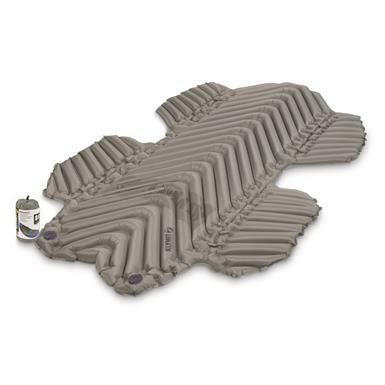 The Hammock V Pad is the first inflatable pad for hammock campers, which is sure to garner praise far and wide. 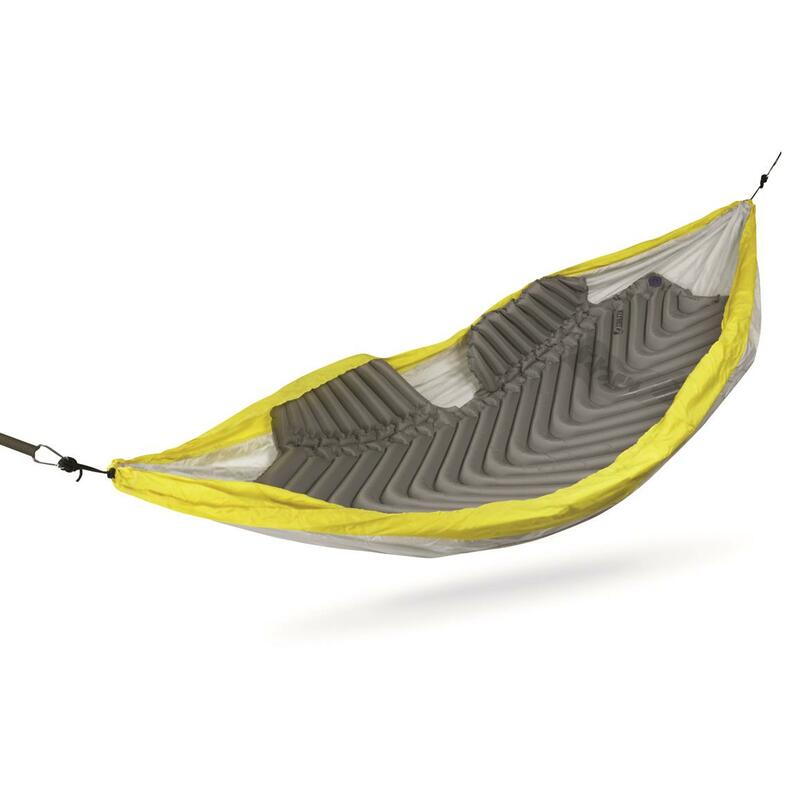 Two sets of wings on each side curve with the hammock to cradle your body in comfort, while also blocking out wind. 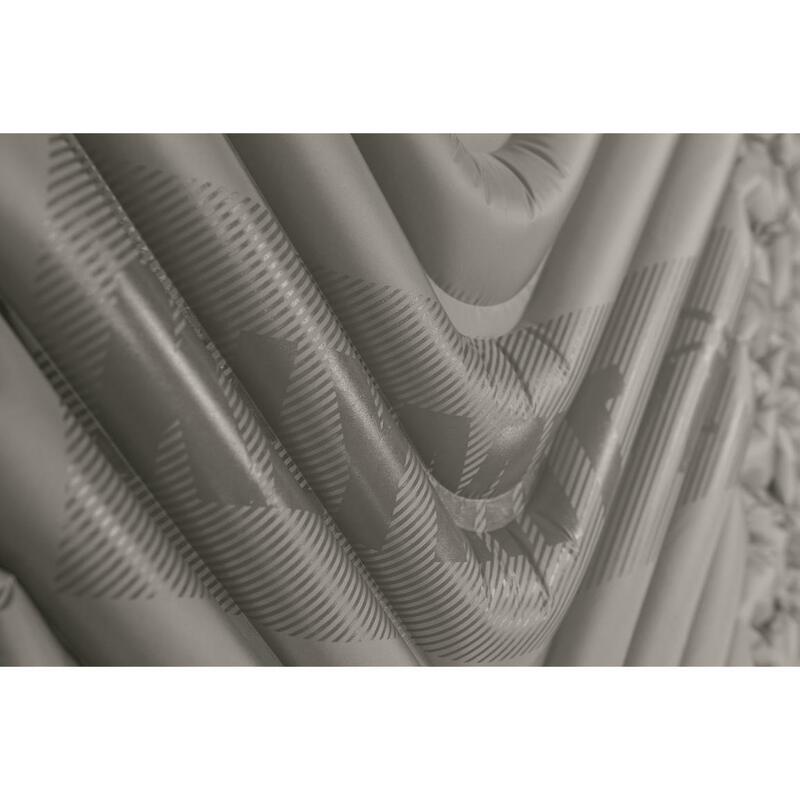 Plus its coated, non-slip zones will help keep your sleeping bag in place for uninterrupted sleep that rivals any hotel "do not disturb" sign. 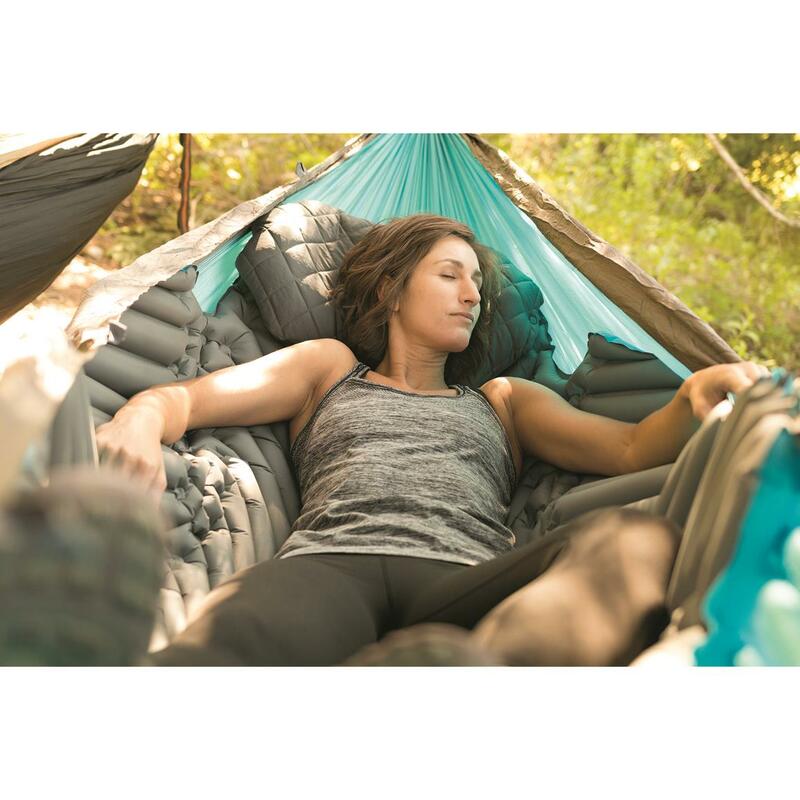 Klymit Hammock V Sleeping Pad is rated 5.0 out of 5 by 1. Rated 5 out of 5 by Crabman from Exceeded my expectations Have been hammock camping for about 5 years now and have spent several nights in the ADKs with a "cold underside". A 20 degree bag in 30 degree weather just doesn't do it. Used it on last week's trip and was more comfortable and cozy than I had even hoped for. You lay in this thing and you can feel the heat radiating back. Money well spent!! Packed size: 5.5" x 10"
Inflated dimensions: 76" x 30" x 3"; 35 oz. Packed size: 15.5" x 8"
40" x 82"l., 3.1 lbs. Packed size: 13" x 8.5"
31.5" x 84.5" x 21.7"w.; 2.75 lbs. 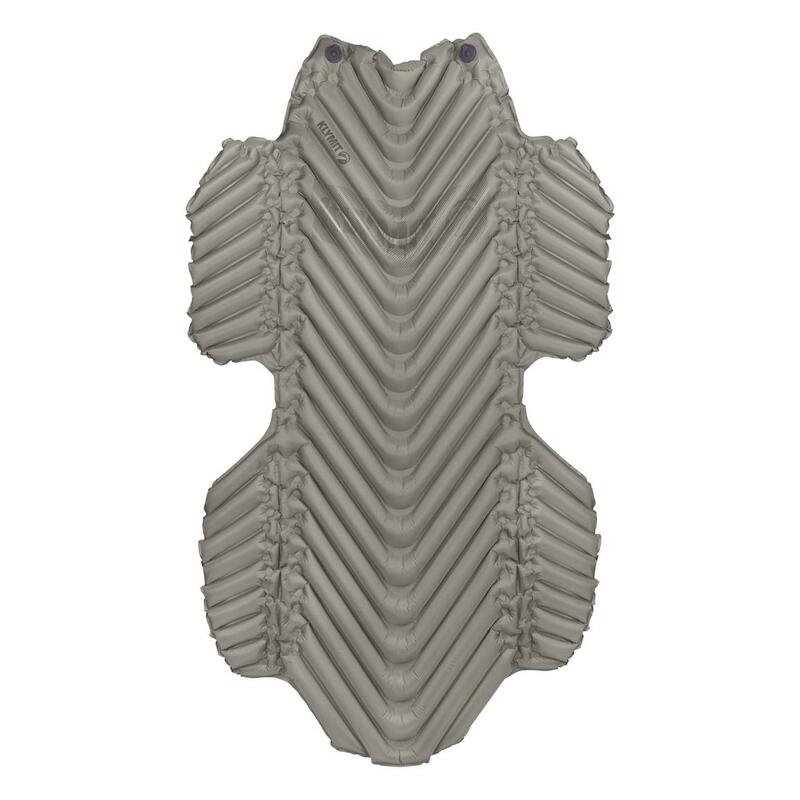 Flexible baffles + expanded chest area = room to move. Thoughtful design for premium sleeping comfort.